Dolce Hotels and Resorts fosters inspiration through shared experiences. Fully managed by hospitality veteran Wyndham Hotel Group, Dolce’s unique take on the art of hospitality celebrates the idea that there is always more to learn and discover. Meetings Done Differently, At Dolce, guests break the ice on a snowy peak in Aspen or with a chilled cocktail in Provence. That’s because this brand does meetings differently. Dolce is the unequivocal leader in meetings and group accommodation, a reputation well earned by delivering service in purposefully designed spaces. Its stimulating environments welcome creativity and are fully equipped with the latest technology and amenities ensuring all events are a success. Dolce is not only certified by the International Association of Conference Centers (IACC), but also a pioneer creating the IACC-standard Complete Meetings Package (CMP), which is now embraced by hotels worldwide. Unique Experiences, Home to more than 600,000 square feet - more than 13 American football fields - of meeting space, Dolce hosts nearly 100,000 events welcoming four million meeting clients each year. In addition to state-of-the-art meeting rooms, nourishment hubs offering local cuisine, and breathtaking vistas, Dolce has cornered the market on nontraditional teambuilding experiences that educate, connect and inspire guests - with options like bicycle building, ‘concoctioneering,’ beekeeping and reforestation. Inspiration at play, Dolce’s full-service resorts welcome vacationers in some of the world’s most awe-inspiring destinations: Napa Valley, Calif.; Aspen, Colo.; Munich, Germany; Chantilly and Provence, France; and Sitges, Spain. Amenities like championship-caliber golf courses, rejuvenating spas, and spectacular wineries, along with energizing activities like sailing, horseback riding, bicycling, and hiking, are embraced by vacationing couples, families and business guests alike. In fact, Dolce’s golf courses are so popular for both business and vacationing travelers that on average, approximately 5,500 lost golf balls are recovered from each resort golf course per year. The namesake of the world’s largest hotel company, Wyndham connects with guests by delivering comfort that exceeds expectations. Wyndham makes travel extraordinary with tailored services and amenities. From smartly detailed guest rooms, to beautifully appointed lounge areas, to distinct dining options and well- designed meeting spaces, our hotels offer all the features expected at a world-class hotel. Wyndham is a popular upscale, full-service hotel choice in major urban and resort destinations around the world and is a top choice among Wyndham Rewards® members representing five out of the top 10 most redeemed hotels in the Wyndham Hotel Group portfolio. Travel is the best excuse to enjoy the grand things in life, and Wyndham Grand Hotels and Resorts offers truly unforgettable travel experiences. A leader in guest reviews with an average rating of 4.28 versus the competition’s 4.15, Wyndham Grand is decidedly not pretentious, but approachable by design featuring pristine guestrooms, relaxing spas, one-of-a kind dining experiences, and more. Located in some of the world’s most sought after destinations, including Shanghai, Istanbul, Doha, Salzburg, Chicago and Orlando, local culture and style are infused into our hotels, creating distinct environments. Wyndham Garden® focuses on what matters most to deliver stress-free, easy travel. With a lens on the little details, guests find peace of mind when traveling for business or pleasure. Wyndham Garden’s strong footprint is growing where Generation X and Millennial travelers want to be. Wyndham Garden hotels feature a combination of excellent service, best-in-class amenities, and technology. With flexible meeting spaces, inviting lobbies, welcoming lounges and complementary high speed internet access, Wyndham Garden hotels fulfill guests’ desires. There’s no better way to get to know a city than experiencing it like a local. TRYP by Wyndham celebrates the spirit of the urban traveler by offering an insider’s look at a city’s uniqueness. You can find us in the heart of the world’s most exciting cities – the ones on your travel bucket list – like Abu Dhabi, Brisbane, Barcelona, New York City, Paris, and Sao Paulo. Our Mediterranean sass and urban flair energizes travelers with an inimitable style that delivered lifestyle hospitality before it was the trend. TRYP by Wyndham is for travelers who want to really know a city. Whether in Madrid, Mexico City, or Buenos Aires, travel experiences should be authentic. Hotels are staffed by locals who help uncover the side of the city that’s not in guidebooks - the newest restaurants, the best places to shop and the latest nightlife – and all the best ways to tap directly into the spirit of the city. If you prefer to work out in the comfort of your own room, our Fitness Rooms come equipped with exercise machines and a complimentary fitness kit including a t-shirt and shorts. Love a good bathrobe? Travelers looking for a little something more can opt for a Premium Room, engineered with comfy extras including bathrobe and slippers, premium amenities, and better views. We’ve got bunk beds. Amaze your little ones with a hotel room for the modern family or excite your group of friends. The Family Room, complete with bunk beds for kids and a larger bed for parents, comes with everything you need included from kid-sized trinkets, dental kits, bottle warmers and even baby gear. Whether you want to find the best bar in Bogota, appreciate art in Antwerp or go dancing in Düsseldorf, we’ll help you discover your destination the way only an insider knows how. 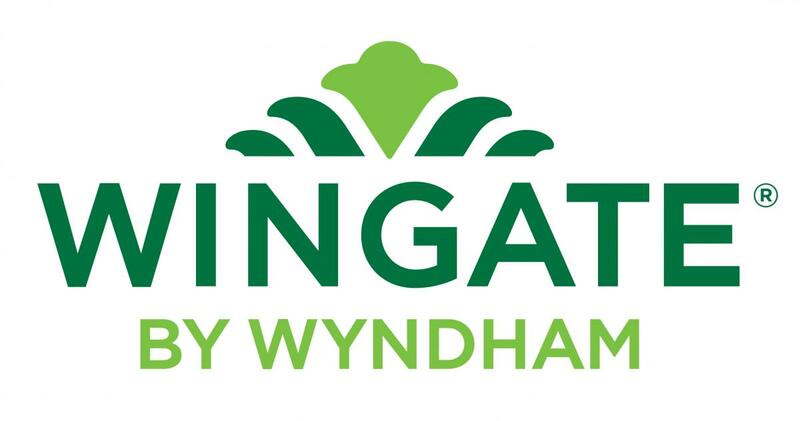 Wingate by Wyndham® is the hotel for travelers who seek balance in work, life, and everything in between offering what’s needed to stay connected, on-schedule, productive and ready for whatever comes next. Spacious guest rooms are 100% smoke-free and furnished with ergonomic workspaces, free in-room Wi-Fi, and flat screen televisions. Wingate boasts complimentary services including inviting lobbies, welcoming lounges, a hot breakfast buffet, well-equipped fitness centers, and flexible meeting spaces. A Leader in Guest Satisfaction Wingate excels in providing guest satisfaction and our scores prove it. Business and leisure travelers rank Wingate #1 and high above the competition in well-respected sources including J.D. Power, Parents Magazine, Money Magazine and Business Travel News. Wingate is building momentum and interest among guests and developers. Wingate is growing its footprint in exciting markets including Miami, Nashville, Denver and NYC. Hawthorn Suites by Wyndham is Wyndham Hotel Group’s benchmark extended-stay brand. Our guest rooms are a home away from home for travelers. Regardless of the length of stay, Hawthorn crafts the most welcoming experiences for guests – encouraging them to stay longer, stay better. Familiar Comforts Maintaining a routine is crucial for the extended-stay traveler. Whether that means squeezing in a workout or eating a healthy meal, Hawthorn helps guests feel their best. With energizing fitness centers, complimentary healthy breakfast options, in-room kitchens encouraging home-style cooking, free Wi-Fi and on-site laundry facilities, Hawthorn features many of the familiarities of home including spacious one and two-bedroom suites, designed to help travelers relax and prepare for whatever the day ahead has in store. Weekday social hours inspire insightful interaction among guests. Perfect for Every Kind of Guest Whether traveling solo or with the whole family, Hawthorn welcomes all, including Fido, thanks to a 100% pet friendly policy. Traveling with a group? Hawthorn was recognized as the Best Extended Stay Brand at the 2015 American Group Travel Awards. 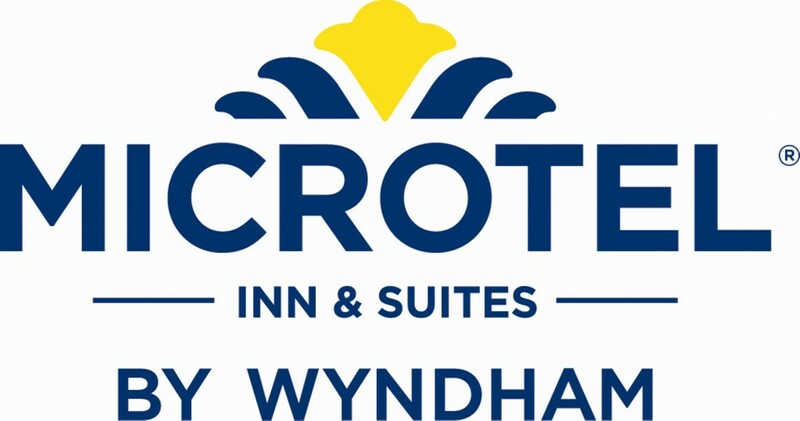 Microtel Inn & Suites by Wyndham® is the purpose built award-winning segment leader. Consistently over- delivering on both guest and owner expectations, Microtel is the only all new-construction hotel in the economy segment. With an established footprint of more than 335 hotels globally, Microtel prides itself on being an innovator, offering a midscale experience at an economy price. While maximizing on size, we don’t compromise on quality. Consistently ranked “Highest in Guest Satisfaction among Economy/Budget Hotel Chains,” Microtel’s rich award-recognized heritage is backed by 14 J.D. Power honors – the most wins of any hotel brand in the economy/budget segment. In addition, 27 percent of the brand across North America has received TripAdvisor Certificate of Excellence honors. Painting the World Red, Ramada Worldwide is making moves on a global scale. With more than 800 mid- and upper-midscale full-service hotels spanning 63 countries, it’s one of the most recognized hotel brands in the world. Ramada’s deep passion for delivering meaningful hospitality shines through its charming pops-of-red at every hotel touchpoint, from bright-red accent walls and flush lighting to rosy seat cushions and blushing bed toppers. Full-service Hospitality in Every Locality, Guests choose Ramada because it’s one of the few hotels offering full-service hospitality around the globe. Most feature an on-site restaurant, lounge or complimentary continental breakfast, as well as meeting rooms, business services, fitness facilities and Wi-Fi. With the most airport locations globally, it’s a preferred choice of world travelers. Ramada’s attentive and caring staff speaks nearly 80 local languages, including nine of the top 10 most spoken global tongues. Guests know they can venture to the edge of the earth, or simply to the edge of town, always finding familiarity in Ramada. Ramada Invites Guests to Join its Global Community, Today, Ramada offers more personalized service with more authentic guest experiences. It’s showcasing the uniqueness of each hotel through new, regionally-inspired designs and décor, local flavors and contemporized staff uniforms. These passion-filled, personalized touches are what make staying at a Ramada so memorable, and what guests most look forward to when joining Ramada’s global community. Hey there, neighbor. Come on in and relax. When you pop in to any of our more than 400 Baymont Inn & Suites hotels across North America, you’ll find one thing stands out from other midscale hotels: good, old-fashioned service. We may be branching out from our Midwestern roots – we’ve tripled in size since joining Wyndham Hotel Group, landing us on Entrepreneur Magazine’s Top Fastest Growing Franchises of the Year in 2016 – but we’re still holding tight to our Midwestern values. We call it hometown hospitality. We don't believe in pomp and circumstance here -- just warm, inviting service. Our hometown hospitality is grounded in our ability to connect with everyone who walks through our doors. When you enter our lobby, you’re welcomed by the aroma of freshly baked cookies and a friendly smile waiting for you at the front desk. You’ll also find warm waffles for breakfast, free Wi-Fi and comfortable, relaxing guestrooms. It’s all about relationships. The tremendous growth of Baymont Inn & Suites in the last 10 years is a testament to the close relationships we’ve built with our partners. It is the personal connection we have with every franchisee that has created the foundation of our success, and our long-term partnerships show it: nearly 30% of Baymont owners have been with the brand since it became part of Wyndham and more than 20% of the brand’s franchisees own multiple Baymont hotels. At Baymont Inn & Suites, our doors are always open, so stop in and stay awhile. Good Morning, Sunshine! Just like the sun, our vibrant hospitality fuels the mind and body. With nearly 1,800 economy to upper-midscale global hotels, the sun has been shining on our doors and greeting guests in every possible travel destination from downtown to small town, beaches to backroads, and airports to amusement parks. 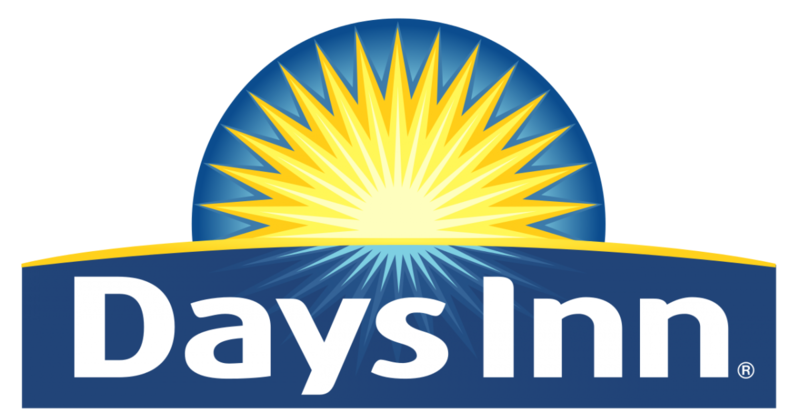 Waking Up on the Bright Side, It’s always go-time at Days Inn. Our energizing Daybreak® breakfast offered across our U.S. and Canada hotels puts that extra pep in your step. Days Inn morning fuel includes fresh fruit, Dannon Light & Fit® yogurts, Kellogg’s™ cereals and Quaker Oats® Oatmeal. We pour more than 40,000 cups of freshly-brewed coffee and nearly 52,000 cups of Florida’s Natural® orange juice daily boosting guests’ energy levels to the max. All of our hotels include DaysFitnessSM Centers featuring treadmills, elliptical cross trainers and weights, or access to beaches or pools for refreshing swims. Most Days Inn hotels provide free Wi-Fi, plus some offer restaurants, bars and meeting space to round out holistically-healthy and productive stays. Our Story, Wherever you are in the world, the dream of the open road is the same—the wind in your hair, the sun on your face, and that feeling of freedom that can’t be matched. With more than 2,700 Super 8 hotels across six countries and four continents—more than any U.S. based economy brand—the question isn’t where you want to go but when. The first Super 8 opened in Aberdeen in 1974—it’s still there today—with a promise of a clean room, friendly service and a rate of just $8.88 a night. Four decades and thousands of hotels later, our red and yellow sign serves as a calling card for one of the most trusted names in travel. An Authentic Experience, Walk through the doors of one of our hotels and you’ll know you’re at a Super 8. From the signature black and white, locally-inspired art to our spirited staff and the aroma of hot coffee available for free, 24 hours a day. Add in a great room; fast Wi-Fi and a SuperStart® breakfast with waffles and cinnamon rolls, and you have everything you need for your stay. Plus, book directly with Super 8 and you’ll also get the opportunity to earn points with Wyndham Rewards—the world’s simplest, most generous hotel loyalty program.Journey Onward, The spirit of Super 8 is stronger than ever and our journey is far from over. In the U.S. and Canada, we’re elevating economy by transforming the look and feel of more than 1,800 hotels with the biggest guest room redesign in our history—plus even more innovation is on the way. And while we’re still An American Road Original, today we are global—from record setting growth in China, where we open on average one hotel every day, to our more recent expansion into countries like Brazil, Saudi Arabia and Germany. Our mission: bring the dream of the open road to all. Our Story, Whether you carefully plot your course or prefer bounding off toward the great unknown, everyone has their own sense of adventure and needs a base camp—a place that starts you off on the right foot each morning and gives you somewhere to rest your head at night. With more than 400 hotels across North America, Travelodge is that base camp. Known for its laid back, California roots, Travelodge got its start as a budget brand with a focus on function over frills and making sure that, despite its low rate, the basics were always executed well. It worked too. Travelodge—then spelled TraveLodge—quickly became a hit. And, while the brand has grown and evolved significantly since, one thing hasn’t changed: the promise of friendly service, a great night’s sleep and a low, affordable rate. Rest and Refuel, Every adventure is better when you’re fueled up, rested and ready to go and that’s exactly what you get when you stay with Travelodge hotels. More than just a comfortable room, expect amenities like in-room coffee; fast, free, reliable Wi-Fi and a daily complimentary continental breakfast. Plus, select hotels offer even more, everything from swimming pools and fitness centers to pet-friendly rooms and car charging stations. Better still, every Travelodge hotel participates in Wyndham Rewards, the award-winning guest loyalty program that lets you earn points towards free nights with each and every stay. Charting a Course, Travelodge is all about helping travelers chart a course for adventure and later this year, for the first time in our history, we’ll expand outside of North America opening our first hotel in Brazil. A major milestone for one of travel’s most well-known and beloved brands. But that’s not all. Back in the U.S, we’re helping energize new adventures in America’s national parks for generations of guests to come with our official support as a sponsor of the National Parks Conservation Association. It’s a natural fit for a brand where one out of every two hotels is located within 25 miles of a National Park and for whom the beloved Sleepy Bear has served as the ambassador of adventure since 1954. Our Story, Ice cream. Family vacations. Clam strips. Happiness. For nearly a century, Howard Johnson has played a special role in helping generations of families create memories that last a lifetime. It’s a proud tradition that continues today, thanks to nearly 400 Howard Johnson hotels spanning over a dozen countries worldwide. Never Far from Home, Staying with Howard Johnson means never having to feel like you’re too far from home. Expect warm, friendly service and thoughtful amenities like free Wi-Fi and a complimentary Rise & Dine breakfast. Want to make the most of your stay? 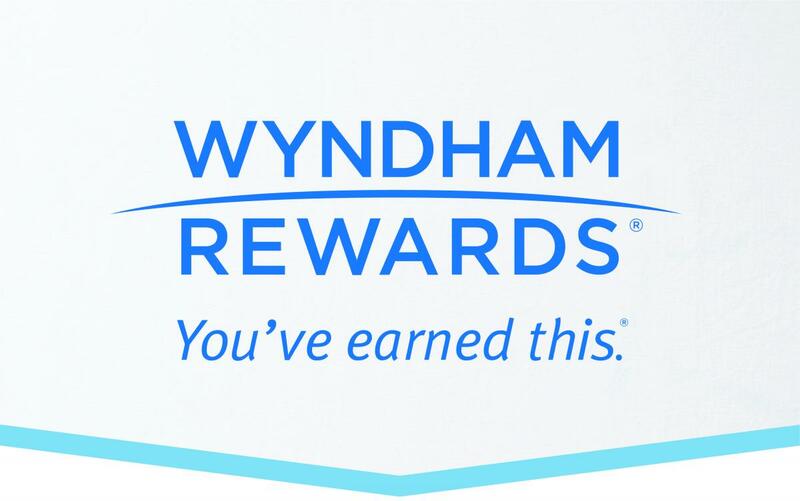 Every Howard Johnson hotel participates in Wyndham Rewards, the award-winning guest loyalty program that lets you earn points towards free nights with each and every stay. Howard Johnson is classic Americana and our heritage is one that will forever be remembered thanks to a lasting presence, not just in the minds of our guests, but also in pop culture. Did you know that Dior once inspired the design of our staff uniforms or that Kennedy White House decorator Sister Parish first introduced the turquoise color found in our logo? Stay with one of our newest hotels and not only will you find a look and feel that pays tribute to the classic mid- century modern designs that helped make us famous, but also modern art, stylish and functional furniture (think colorful lamps with plenty of outlets and USB plugs) and as always, a healthy dose of orange and turquoise. Today, Howard Johnson reaches far beyond our American roots to embrace what has grown to become a truly global brand. Our hotels span four continents and are present in countries including Argentina, Brazil, Peru, India and China. While our global footprint continues to expand, our commitment to our guests and the communities we serve remains unchanged—because a warm, friendly experience and honest hospitality never go out of style. Named the number one hotel rewards program for 2016-2017 by U.S. News & World Report as well as the most generous program by consulting firm IdeaWorksCompany, Wyndham Rewards® is a simple-to-use, revolutionary loyalty program offering members a generous points earning structure along with a flat, free night redemption rate – the first of its kind for a major rewards program. Members earn a guaranteed 1,000 points for every qualified hotel stay and can redeem for a free night at any of nearly 8,000 hotels globally with just 15,000 points or any of more than 17,000 condos and homes for just 15,000 points per room per night. With 48 million members worldwide. Introduced in May of 2016, Member Levels is an “elite” program for the masses, offering all members unique perks and access to the industry’s first-ever experience enhanced redemptions. Four Distinct Levels: Blue, Gold, Platinum, Diamond - Complementing Member Levels’ new, industry-first, redemption benefits like go free PLUS and go fast PLUS are a host of other member perks, including free Wi-Fi, late check-out, early check-in, room upgrades, welcome amenities and more. Members can choose to earn Travel Partner currency with many North American partners including Aeromexico, Aeroplan®, Alaska Airlines, American Airlines®, Frontier Airlines®, Hawaiian Airlines®, United Airlines® and Amtrak®, as well as international travel partners including Air Berlin, Air China, China Eastern, China Southern, Czech Airlines, Hainan Airlines, JetPrivilege, MeliaRewards, PAYBACK, Qatar Airways, Saudia, Turkish Airlines and Miles & More, the frequent flyer program of Lufthansa®, Austrian Airlines, Swiss International Air Lines and other airlines.